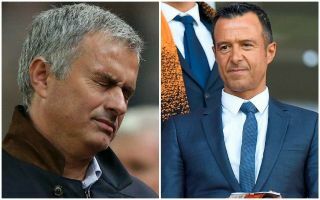 Manchester United reportedly have another surprise candidate to replace Jose Mourinho as their manager – and it’s another client of his agent Jorge Mendes. After impressing in his time as Wolves boss, Nuno Santo is said to also be in the running for the Old Trafford hot seat, despite former Real Madrid head coach Zinedine Zidane remaining the favoured candidate, according to the print edition of Bild, screen-grabbed and translated by the Daily Express. Santo’s Wolves side played some superb football last season by storming to the Championship title, and they’ve also looked decent in the Premier League so far, drawing with Manchester City and beating West Ham in their last two games. Although Santo lacks that same top-level experience that Zidane got at Madrid, the 44-year-old does seem a real up-and-coming tactician whose methods could work well at a bigger club. The Express also seem to hint that his links with Mendes – an influential figure at United – could perhaps do his chances no harm. CaughtOffside have recently been told that Zidane has communicated with two United players about being confident of getting an offer to replace Mourinho soon. Still, this information came from sources close to the Frenchman, with United sources giving less clear signals about Mourinho’s future, so it may be that other names are in the frame, if the Red Devils are indeed planning a change at all.